Interface – When first launching this app I noticed a sleek and simple looking interface. It is set up to easily navigate through, with three main features — Security, Backup and Missing Device. At the very top it notifies you if everything is ok or if there is a security issue with your device. If you tap a category it will provide you with additional information on that specific subject and tell you if there is a problem. Features – This is a fairly comprehensive, feature-packed app. It provides features such as — finding your phone if it becomes lost or stolen, managing unsecured Wi-Fi networks and backing up your information. At first I was wondering how I would know if it really was doing what it promised to do, but then I got my answer when it notified me that I was near an unsecured network. Overall, for a free app this is definitely worth the download. Although in a future update I would like to see the ability to back up your photos. This feature would add a great component to the app that does not exist on the market right now. 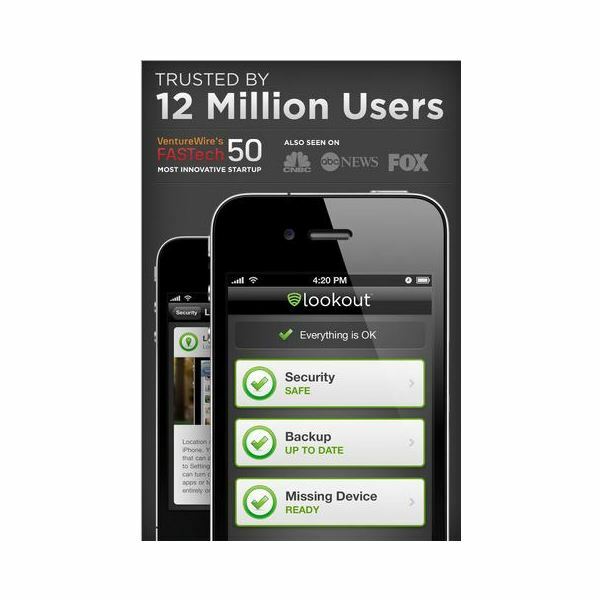 For all of the other features Lookout offers, you already have most of them on your phone. iCloud backs up your information, and Find My iPhone will locate your phone. The main feature that I adore is the notifications, this feature will help you to be aware of what is going on with your phone's security. 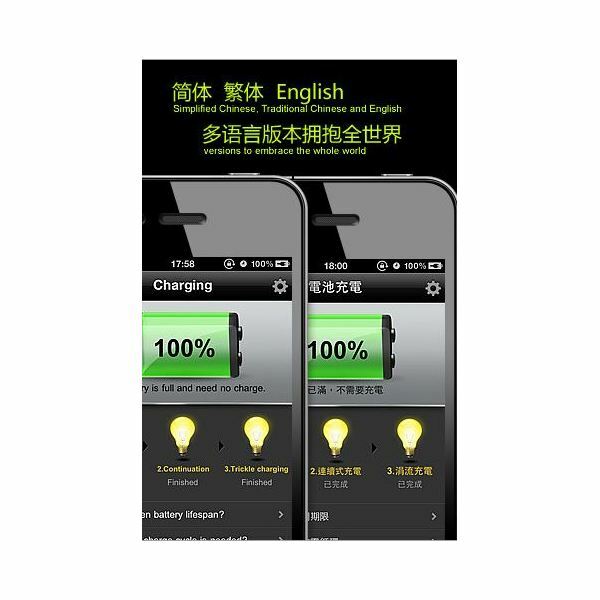 Interface – Battery Doctor + is a free app that has an impressive and easy to use interface. When you first open the app you will notice your battery's status level in bold at the top of the screen. It will also give you information about your charging habits beneath that. I was an instant fan of this app when I noticed the usage list as I scrolled down the page. I thought this was a genius idea to give users an idea of how much time they had remaining on their battery life for each task they used. A breakdown of some of the tasks displayed included — Internet on Wi-Fi, talk time, video playback, YouTube, 3D Game and many more. Features – The features are quite remarkable. In addition to a full usage list and time remaining there are also tips on how to lengthen your battery life, a comprehensive record of your charging status and tips for proper maintenance of your phone. One thing I particularly liked was the options they give you in the settings menu. You can change your sound selections, the order of your usage list and decide if you would like reminders or not. The bottom line is Battery Doctor + is the best battery and maintenance app for the iPhone that I have come across. Not only is it free but it works perfectly and helps your iPhone be at its best. I would highly recommend downloading this app today. Interface – This is truly the most unique interface I have ever seen. When you open the app you are met by an interface that looks like it came straight off your dashboard in your vehicle. I have to say it is very cool. At the top it gives you the percentage of battery life you have in the form of a number that looks like the speed you are driving at in your vehicle. Then at the bottom of the screen you will see a breakdown of how long your battery will last. 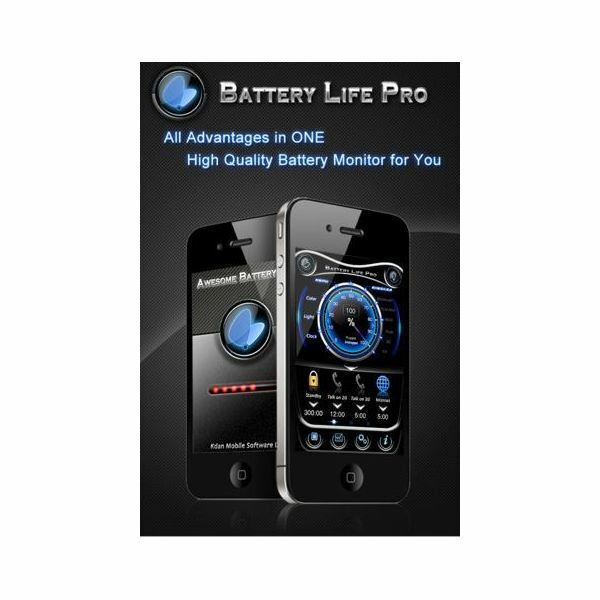 Features – In addition to Battery Life Pro's stunning layout it also has some amazing features. You can keep track of your charging time based on your specific needs, learn about battery tips, set an alert to remind you when you need to charge your battery, and my favorite, change the theme of how you want the information presented to you. They give users seven different options to choose from and they are all absolutely amazing. Overall I found this app to function excellently well and I really enjoyed the unique graphics. The developers really put a lot of thought into this app. There is nothing I would add or change to make this app better. For a free app, it is definitely worth your time to download it. All of these apps work effortlessly. If I had to choose the best overall of the three I would pick The Battery Doctor +. Although all of these apps work great, Battery Doctor + worked the best. In order keep your phone working properly make sure you try all of these iPhone maintenance apps. Do you have a favorite app that helps the overall performance of your iPhone? If you have a suggestion, question or comment please feel free to drop us a line in the comment section below, we would love to hear from you. All screenshots remain the property of the respective developers.